HOW TO BUILD YOUR WILLPOWER - Onome Talk Am! Will-power,simply put is the ability to put off self impulses,gratification and desires in other to reach a set goal;the ability to over-ride unwanted thoughts,emotions in order to succeed. The conscious act of controlling yourself above your normals;you can forgo immediate gratification for a long term gratification in order to get desired results. Willpower,like every character traits can be developed over a period of time;as a matter of fact it’s much easier to develop and maintained than having to struggle through life without it. 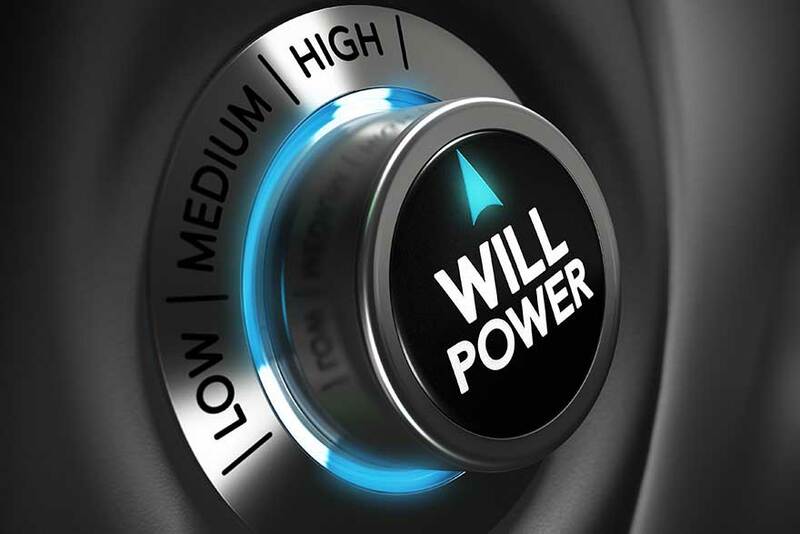 Lack of willpower slowly but surely moves you further along the downward curve,straight to failure and regrets.Developing your willpower automatically moves you along the upward curve and helps accelerate your life journey the longer your put it into practice. Agreed it may be tiresome to build or practice;you may consider it as impossible in the short-term but with time you will realize it’s easier than you think;it eventually gives you an edge over some other not so pleasant traits that you have been struggling to deal with. To test your willpower,you need to pick one thing that you don’t generally like but needs to be done in a disciplined way and train yourself with it. So how can you improve your willpower? Remember the use and disuse theory? 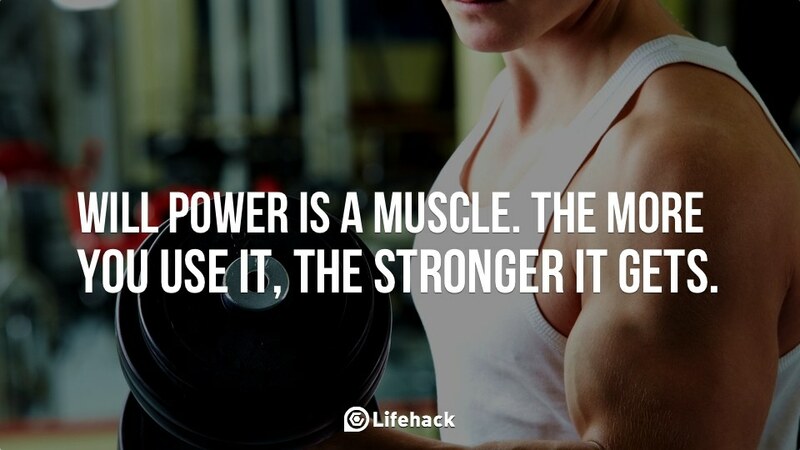 Let’s liken the willpower to the muscles which gets stronger overtime when exercised compared to the one which loses its strength and flexibility without exercises. 1. EVALUATE YOUR HABITS: AT every point in life,we struggle with one form of weakness or another;self-assessment is key.You need to determine your area of weakness that needs to be improved. Try yo do what will be good for you in the long run,not what you want to do now.Do not act on impulses or spur of the moment;always remember it’s your willpower that separates you from animals.No matter how difficult overcoming an habit may seem,put in the effort,restrain the impulse and you will be glad you did in the long run. 2. SET BEHAVIOR GOALS:It’s strongly advised to start with setting short term guidepost goals If you are finding it difficult to set long term goals;setting short term specific goals will guide you in the way of achieving your long term ultimate goal. 3. KEEP YOUR EYES ON THE PRICE: Willpower deals more with training our mental muscles for long term rewards than instant gratification;the best way to train your willpower is to keep the big picture in mind,you need to note that the strain of putting aside instant gratification will be unappealing at the beginning but you need to try harder to persevere,the long term reward is much more worth it. Remind yourself of your long term goals,remember giving in to your impulses defeats your willpower. 4. ONE STEP AT A TIME: Just like a muscle;willpower can get tired if you overuse it,while exercising self control is a great way to building willpower never giving yourself break is a good way to deplete it. Do not try to train your willpower by wanting to do many things at a time,start by training with one thing you struggle with. 5. DEAL WITH SETBACKS: As much as we preach against going off track when it comes to training willpower;you may experience setbacks along your journey to overcoming your impulses,do not be discouraged.Do a self assessment and start again,Encourage yourself at all times why it is essential you get your desired results,remind yourself why you started out in the first place. Build up your self control by exercising it regularly,learn to recognize warning signs when going off-track. Do not try to do too much at a time;take it one step at a time and have a positive attitude that you can.Always remember that your willpower has a role to play in your success.